The top bike is kind of a mystery. It has an Alvin Drysdale (Pop Brennan Cycle shop)decal on it, but it isn’t like any other. 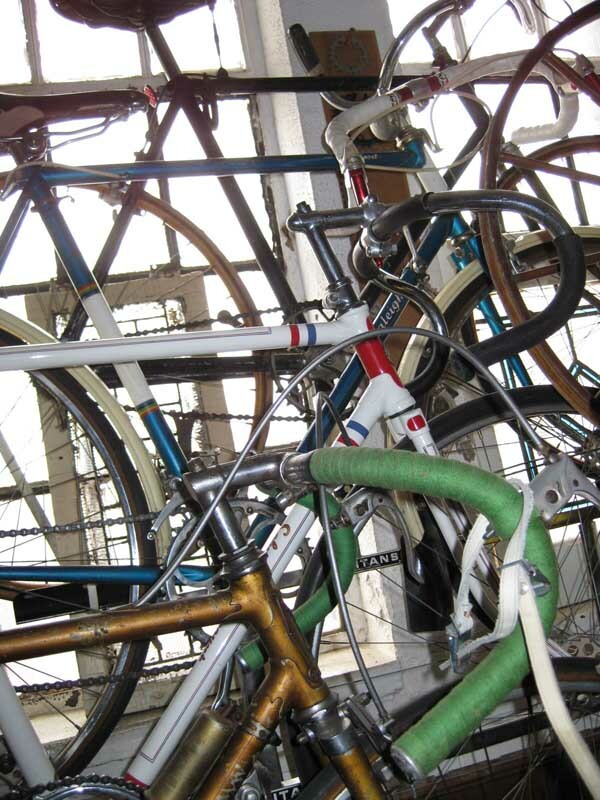 It has diamond shaped chainstays and other interesting frame particulars (not visible from the pictures). One thing I cannot recall ever seeing is a BSA cotterless crank set. that is new too me. 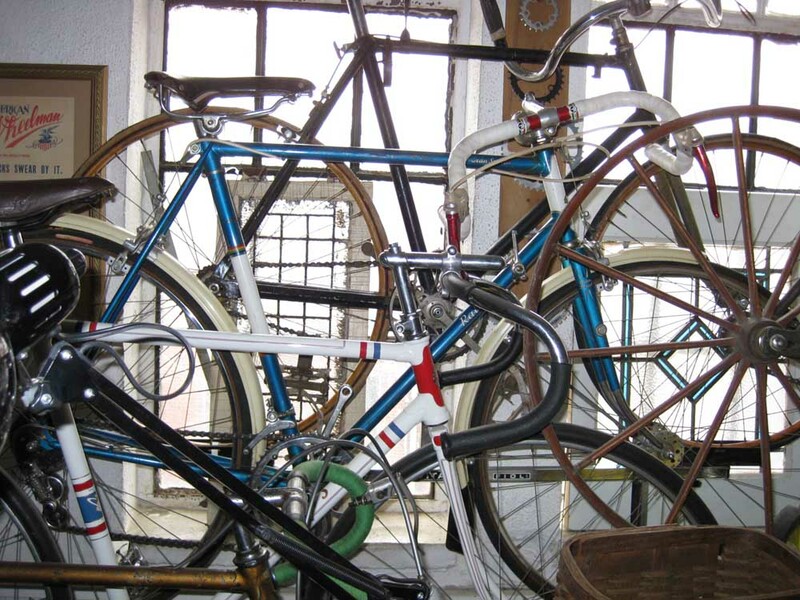 The second bike down from the top is an early 1960s Raleigh Gran Sport. Campagnolo Gran Sport derailleurs, Brooks Swallow saddle, GB Spearpoint stem and red sleeved handlebars, GB brakes and levers, and Bluemels fenders. All original. Third bike down is an early Schwinn Paramount. it is a repainted one with very clean original parts, no replating. The final bike at the bottom is a Legnano outfitted with Campagnolo cambio corsa gear system. It is all original, other than the cloth handlebar tape. It has most of it parts stamped Legnano, including pedals, cranks and hubs. It is a rare bike, and it is awesome it was found in New Jersey of all places. Click on pictures for better view.